Care The plastic surfaces should only be cleaned with a soft, damp cloth with soap or an ordinary household cleaner. Do not use caustic or abrasive cleaners. 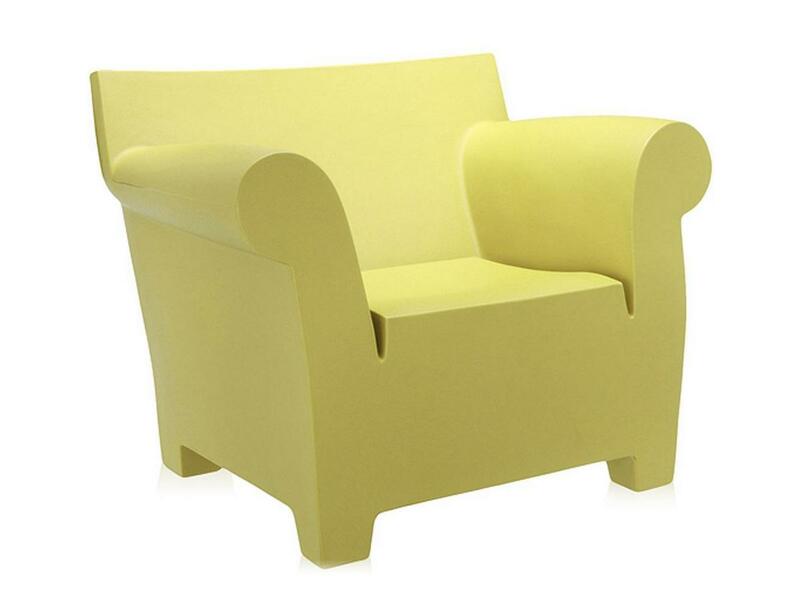 Certificates Since 1996 Kartell's Quality Management System has been certified according to UNI EN ISO 9001. 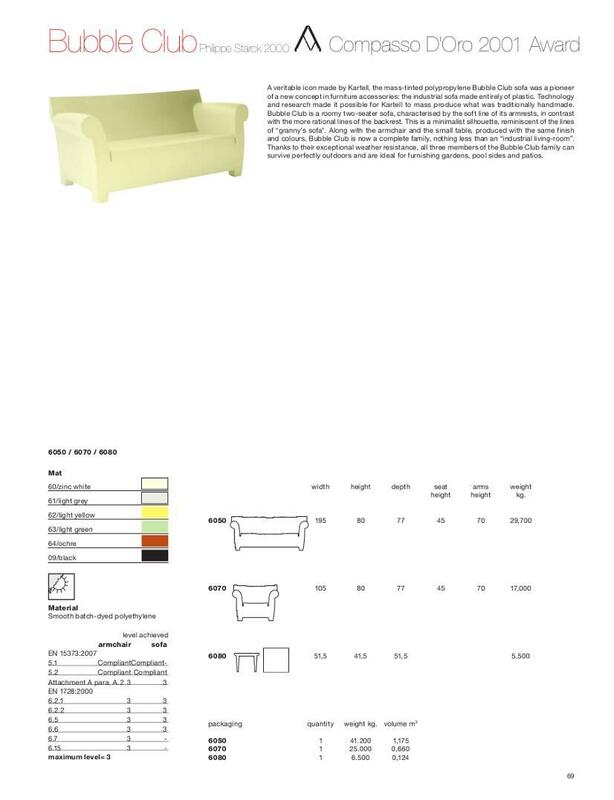 In addition since 2012 Kartell has been UNI EN ISO 14001 certified, which guarantees effective environmental management systems. 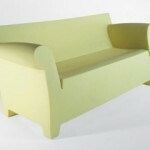 Sustainability Polyethylene is a thermoplastic polymer from the family of polyolefins. All polyolefins have a high mechanical strength, are non-toxic and do not pollute the environment. The Bubble Club Armchair is part of a completely new furnishing concept developed by the French designer Philippe Starck for the Italian manufacturer Kartell. 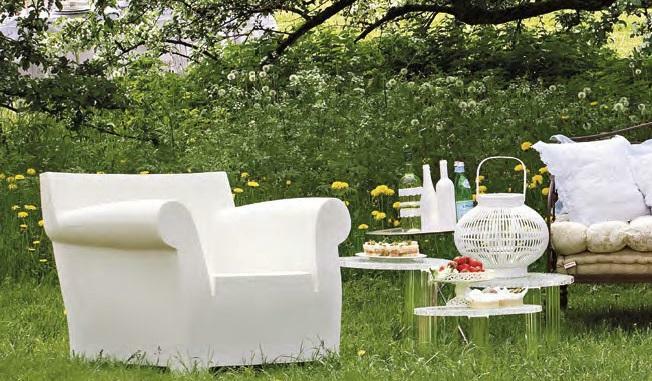 Specifically Starck took a furniture ensemble typically found in the living room and re-imagined it in 100% plastic and thus suitable, nay intended, for outdoor use. As with the Bubble Club Sofa and Bubble Club Table the Kartell Bubble Club Armchair is made of coloured polyethylene created via an injection moulding process, thus Philippe Starck has designed a comfortable, functional chair, produced as a single piece and completely industrially - and in doing so questions the handicraft traditions of the more familiar upholstered variants. 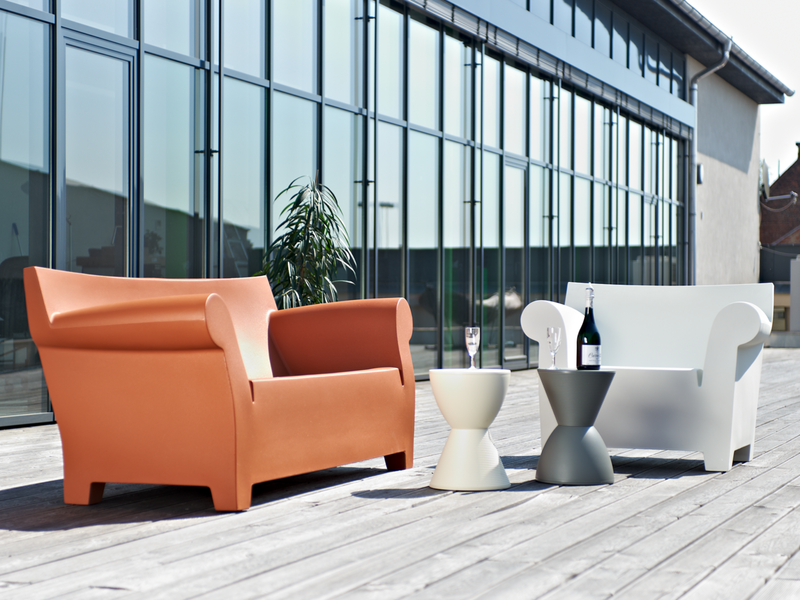 Thanks to its durable and resilient material the Bubble Club collection is not only an aesthetic enhancement but also a reliable and hard wearing addition to any garden, patio or balcony - and that in spring, summer, autumn or winter.